In 2008 Congress passed and the President signed the Higher Education Opportunity Act (HEOA). Several of the Act's provisions are intended to reduce unauthorized duplication of copyrighted works through peer-to-peer (P2P) file sharing on campus networks. The provisions set forth in the Act became effective on July 1, 2010 and require South Texas College to implement a plan to effectively combat the unauthorized distribution of copyrighted material by users of the college's network without unduly interfering with the educational and legitimate use of the network. Educate students on copyright and Digital Millennium Copyright Act (DMCA) issues. Prevent inappropriate use of peer-to-peer (P2P) programs and software through utilizations of a variety of technologies to deter the behavior. Suggest alternatives for downloading programs (Pandora, iTunes, etc.). 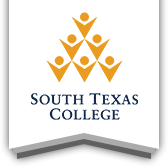 For education, the college maintains copyright guidelines that provide comprehensive copyright information and inform users of STC's DMCA requirements and how the college handles copyright infringements. DMCA and copyright infringement is also discussed during student orientation. Additionally, a Notice to Students about P2P and File Sharing is provided to all students annually through JagMail and made available to college employees and the general public. For preventing inappropriate use of peer-to-peer (P2P) and copyright infringement, the college employs commercial products such as Audible Magic CopySense, a compliance management system that systematically detects potentially inappropriate P2P sharing on the college's network and automatically responds through a 'teachable moment' gradual response. More information of CopySense can be found here. A list of legal alternatives to illegal downloading and sharing may be referenced at the free sources page. The college's plan to comply with the HEOA requirements is reviewed annually to determine effectiveness in educating students and preventing copyright infringement. Procedures for handling unauthorized distribution of copyrighted material on the college's network can be found here. If you have further questions, please contact the STC Information Security Office 872-2335. The college's plan to comply with the HEOA requirements is reviewed annually to determine effectiveness in educating students and preventing copyright infringement.